Limerick defeated Clare by 0-22 to 0-19 in the Bord Gais Energy Munster U21 Hurling Championship Final on Thursday July 30th at Cusack Park Ennis. Wing-forward Ronan Lynch was the hero for Limerick as they brought Clare’s dominance of the Bord Gais Energy Munster U21 Hurling Championship to an end in a thriller at Cusack Park. A crowd of 14,311 witnessed a great contest as Limerick captured their seventh Munster U-21 title and their first since 2011. In the process they brought a halt to Clare’s hopes of a fourth title in a row after the Bannermen failed to make the breeze count in the second-half. Lynch was in superb form for Limerick and he finished with 0-13 — three from play. John Kiely’s side boasts much of last year’s All-Ireland minor winning side and they go on to play Galway on August 22 in the semi-final. They were the last side to win in Munster before the Bannermen assumed control and the hosts couldn’t replicate their semi-final heroics against Waterford. Limerick captain Barry O’Connell won the toss and chose to play with the breeze but they didn’t make use of it in the opening half. They trailed Clare 0-12 to 0-10 at the break even though Limerick were four points ahead after 23 minutes. David Dempsey and Darragh O’Donovan gave Limerick an early lead but Clare hit the next four scores. Shane Gleeson struck two with Shane O’Donnell and Bobby Duggan also on target. But Limerick reassumed control with Ronan Lynch on form from the placed-ball. By the time Dempsey hit his second they were 0-8 to 0-4 up but in the next five minutes Clare asserted their dominance. Corner-back Eoin Quirke slotted an inspirational effort from inside his own half and Ian Galvin also found his touch. The former Ardscoil Rís student hit two as Clare took a 0-10 to 0-9 before Ronan Lynch tied it up for the fifth time on the half-hour. But points from Gleeson and Duggan gave Clare the 0-12 to 0-10 half-time advantage. Galvin and Stephen Ward pushed Clare further clear on the resumption but Limerick and Ronan Lynch hit back. He brought his tally to eleven for the day when he gave them a 0-16 to 0-15 lead in the 48th minute. Clare couldn’t handle Limerick at this stage, Quirke offered a reprieve with his second of the day. But it was short-lived and substitute Jack Kelliher sealed it with a late point for Limerick. Scorers for Limerick: R Lynch 0-13 (8f, 2 65), D Dempsey 0-2, D O’Donovan 0-1, R Hanley 0-1, C Lynch 0-1, C Ryan 0-1, T Morrissey 0-1, P Ryan 0-1, J Kelliher 0-1. Scorers for Clare: B Duggan 0-6 (5f), I Galvin 0-4, S Gleeson 0-3, E Quirke 0-2, D Conroy 0-1, S O’Donnell 0-1, S Ward 0-1 (sideline), M O’Malley 0-1. Subs: S Flanagan for Hegarty (34), A La Touche Cosgrave for Hanley (35), S Finn for M O’Callaghan (46), J Kelliher for Morrisey (59), D Condron for Dempsey (60). Clare: K Hogan; A McGuane, D Fitzgerald, S O’Brien; C Cleary, B O’Gorman; D Conroy, K Hehir, E Quirke; B Duggan, S Gleeson, I Galvin; S O’Donnell, S Ward, R Taylor. Subs: M O’Malley for Gleeson (45), N Deasy for Hehir (49), D Moloney for Ward (52), C Crehan for Taylor 58. The Munster Council is pleased to confirm that 12,000 tickets of the 14,500 capacity have now been sold for Thursday evening’s (July 30th) Munster U21 Hurling Final between Clare and Limerick at Cusack Park in Ennis. Supporters wishing to attend are asked to note that ticket sales through the Supervalu/Centra network will cease tomorrow (Thursday) at 2 pm. Any remaining tickets will be sold at the ground with sales opening at 3.30 pm. The Munster Council is pleased to confirm that 10,000 tickets have been sold for the BGE Munster Under 21 Final between Clare and Limerick at Cusack Park, Ennis at 7 pm on Thursday July 30th, with 2,000 sold in the last 24 hours. The ground has a capacity of 14,500. 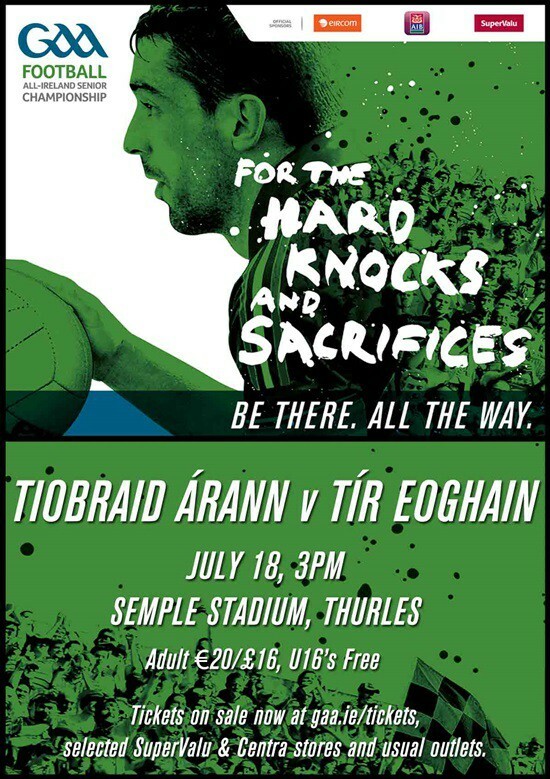 Supporters planning on attending this game are urged to pre-purchase their tickets through the participating County Boards or the participating Supervalu and Centra outlets. Tickets will only be on sale at Cusack Park on Thursday evening if all tickets have not been pre-sold. The Under 21 final will be preceded by a Development Squad game between Clare and Limerick at 5 pm. Supporters are encouraged to enter the grounds as early as possible on Thursday evening and not later than 6.30pm. The Munster Council has confirmed that the 2015 Bord Gáis Energy Munster U-21 Hurling Final between Clare and Limerick will take place on Thursday July 30th at 7pm in Cusack Park, Ennis. The game will be all ticket and supporters are asked to pre-purchase their tickets in advance of the game. Adult and Juvenile tickets will go on sale through clubs, online through tickets.ie and through the usual participating Supervalu and Centra Stores. Adult Terrace and Sideline tickets are €15, while Juvenile (under 16’s) tickets are €5. There will be a limited number of covered stand tickets available at €20. A student/OAP discount of €5 can be redeemed at the venue, available on adult tickets only. Tickets will go on sale at 10 am on Wednesday morning, July 22nd. Terrace tickets are now available to purchase via Centra and Supervalu outlets. Check out the Ticketing Store Locator to find the outlet closest to you. Next round – winners play Galway in All Ireland semi-final on Saturday August 22nd. 2014 Championship Performance Defeated Limerick by 2-20 to 1-14 in quarter-final at the Gaelic Grounds. Defeated Tipperary by 5-19 to 1-25 in semi-final after extra time at Cusack Park. Defeated Cork by 1-28 to 1-13 in Munster final at Cusack Park. Defeated Antrim in All Ireland semi-final by 4-28 to 1-10 at Semple Stadium. Defeated Wexford by 2-20 to 3-11 to win All Ireland title at Semple Stadium. Lost to Clare by 2-20 to 1-14 in quarter-final at the Gaelic Grounds. Last meeting in the Munster Under 21 hurling championship June 4th 2014 – Munster Quarter-Final – Clare 2-20 Limerick 1-14 at the Gaelic Grounds. Click here for match report. In the Under 21 Hurling All Ireland Roll of Honour, Cork top the charts along with Kilkenny with 11 titles. Galway have 10 titles followed by Tipperary with 9. Limerick have won 4 All-Ireland titles in this grade. Clare have won 4 titles (all in the last 6 years) while Waterford have 1 title. Clare have gone on to win the All Ireland title on each of the occasions they have been Munster champions. Clare and Limerick only met once previously in a Munster under 21 hurling final in 1986 when Limerick won their first provincial title after a replay. Clare have won their last 14 games in the under 21 hurling championship to secure 3 Munster and All-Ireland titles. Their last defeat was by Limerick in the 2011 Munster semi-final on a scoreline of 2-19 to 1-15 on July 26th at Cusack Park. Since 2007, 4 of the 5 counties in the Munster Under 21 Hurling Championship have won the title – Cork (2007), Tipperary (2008 and 2010), Clare (2009, 2012, 2013 and 2014) and Limerick (2011). The Munster Under 21 Hurling champions have captured the All-Ireland crown on 8 occasions since 2000 – Limerick (2000, 2001, 2003), Clare (2009, 2012, 2013, 2014) and Tipperary (2010). In the other 7 years the Munster championship winners which failed to go on to win the All Ireland title were Tipperary (2003, 2004, 2006, 2008),Cork (2005, 2007) and Limerick (2011). By Thursday night Clare and Limerick will have shared the 5 most recent Munster under 21 hurling titles between them, the longest period ever without Cork or Tipperary winning the title. This entry was posted on Thursday, July 30th, 2015 at 11:00 am and is filed under events, News. You can follow any responses to this entry through the RSS 2.0 feed. Both comments and pings are currently closed. Clare defeated Waterford by 0-23 to 1-18 in the Bord Gais Energy Munster U21 Hurling Championship Semi-Final on Wednesday July 15th at Cusack Park Ennis in front of an attendance of 6,639. Thirteen Bobby Duggan points helped Clare stun hot favourites Waterford at Cusack Park to reach their fourth Munster Under-21 hurling final in a row. Operating with a two-man inside forward line, Mikey Kearney had licence to roam out around the middle while DJ Foran proved an excellent target man at the edge of the square for Waterford. And in the early stages they looked like the more experienced team. Despite trailing 0-2 to 0-1 after five minutes thanks to two points from play from Duggan, Waterford hit six of the next eight points to surge three clear by the end of the first quarter. Three of those scores came from Patrick Curran frees, while Austin Gleeson at centre-forward also weighed in with two from play. But Duggan, one of five senior panellists for Clare, was in inspired form and he hit all of Clare’s first five points to keep them in touch. Much of the Waterford focus at the back centred on Shane O’Donnell and the 2013 All-Ireland final hero hardly had a sniff before the break. The closest he came to a score arrived in the 18th minute when Davy Conroy’s effort rattled the post and the Eire Og man gathered the rebound. But Tadhg De Burca crowded him out immediately and his shot under pressure failed to find the target. Waterford, who had 10 points to spare against Cork in the last round, frustrated Clare with their tight cover inside, but the points soon rolled from further out the field. Galvin – younger brother of Clare senior Colm – Ryan Taylor and Shane Gleeson all pointed before the interval to leave Waterford leading by 0-11 to 0-10. Once again after the restart Clare’s intensity, and eagerness to hook and tackle their opponents stood out and that led to the equalising score from Duggan in the 32nd minute. A great move featuring Eoin Quirke, Kevin Hehir sent Galvin on his way for the lead score three minutes later – the first time they led for half an hour – and wing-back Aidan McGuane made it 0-13 to 0-11 a minute later with his first point. Waterford weren’t helping themselves with three poor wides to start the half but Austin Gleeson settled them with a long range free after 38 minutes. Clare responded with three more points in a row as Donal Moloney’s side looked like pulling clear. But this is a quality Waterford outfit, and in the 43rd minute Patrick Curran followed Colin Dunford’s point with a goal for his side to put them back in front once again. But three on the bounce from Clare – two from Galvin – saw them into the Munster final yet again. Subs: S Taylor for Gleeson (38 mins), N Deasy for Hehir (58 mins). Subs: D Lyons for Harney (h-t), C Curran (0-1) for Donnelly (40 mins), S Keating for Foran (46 mins). Waterford Under 21 Hurling team to play Clare in Wednesday’s Munster Under 21 Hurling Semi-Final is as below. This entry was posted on Wednesday, July 15th, 2015 at 1:00 am and is filed under events, News, Videos. You can follow any responses to this entry through the RSS 2.0 feed. Both comments and pings are currently closed.